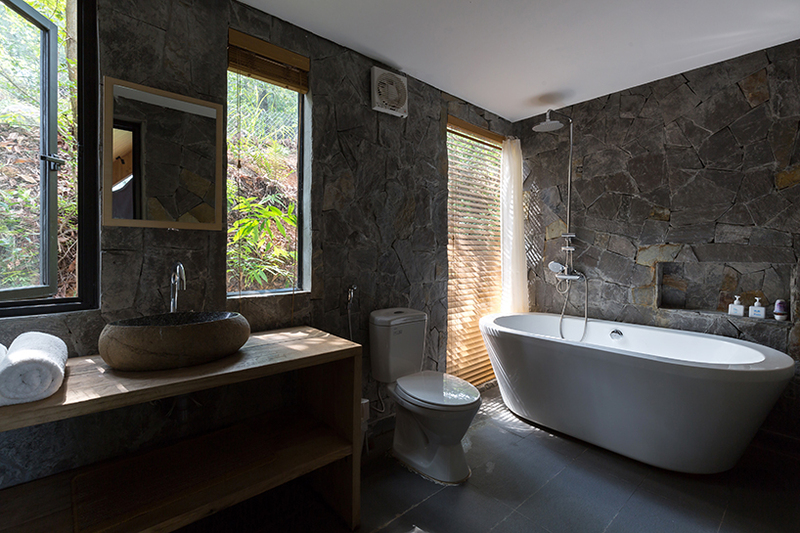 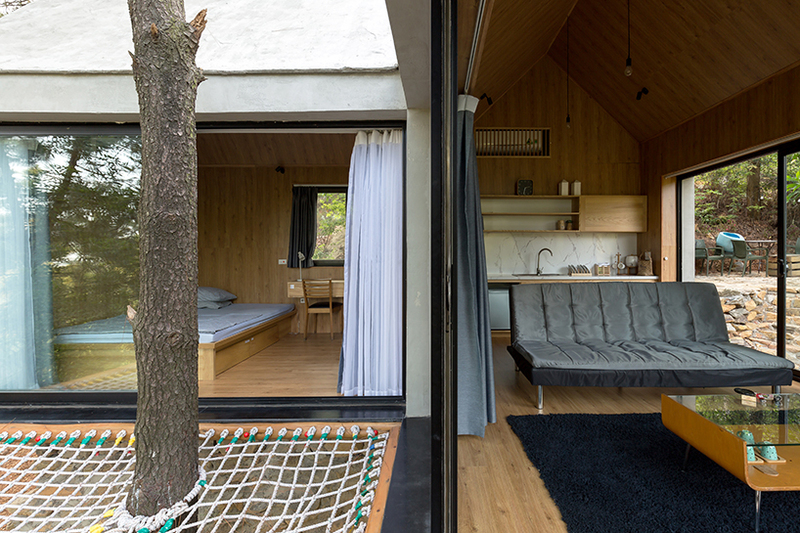 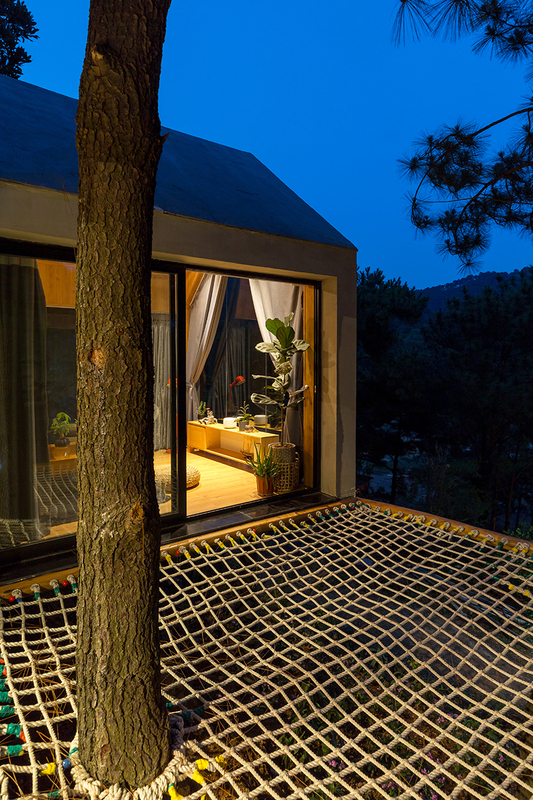 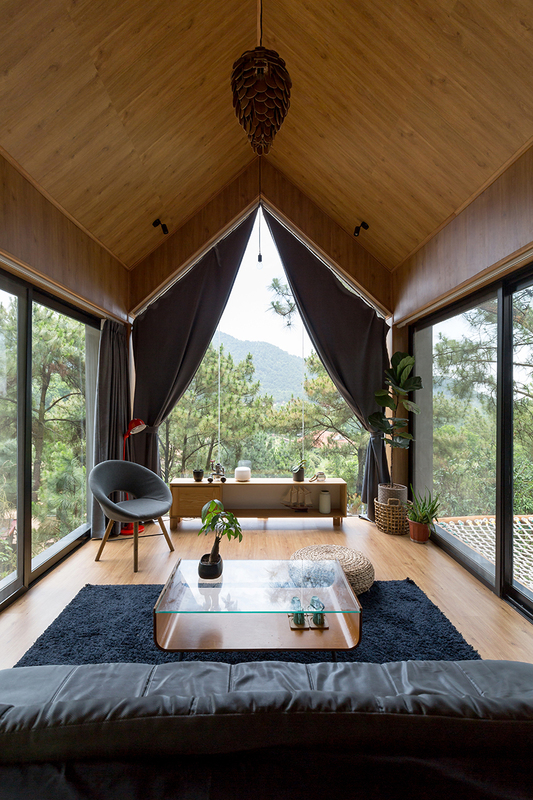 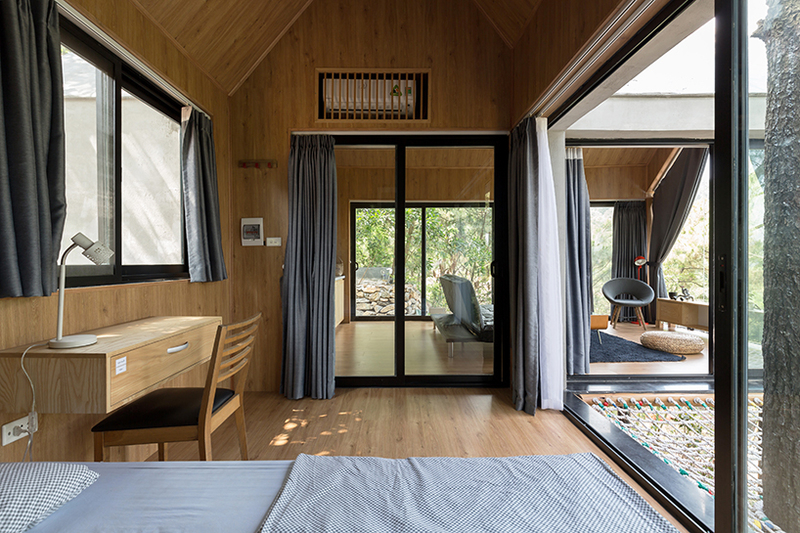 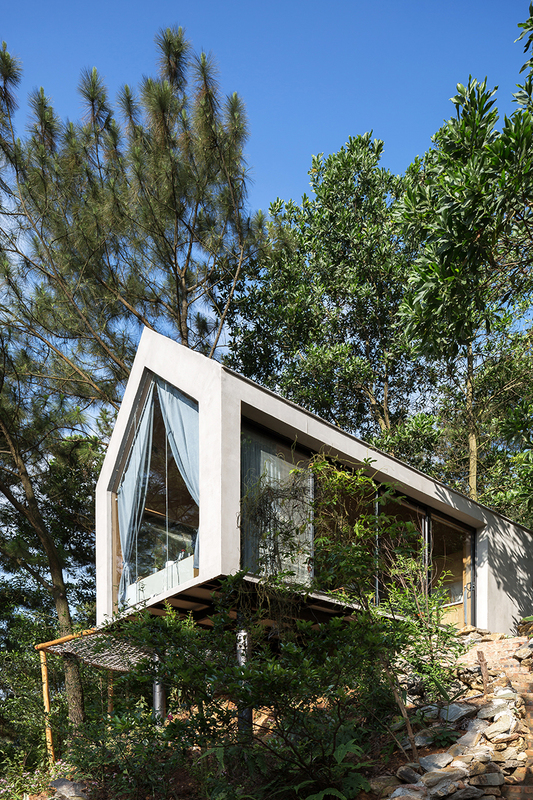 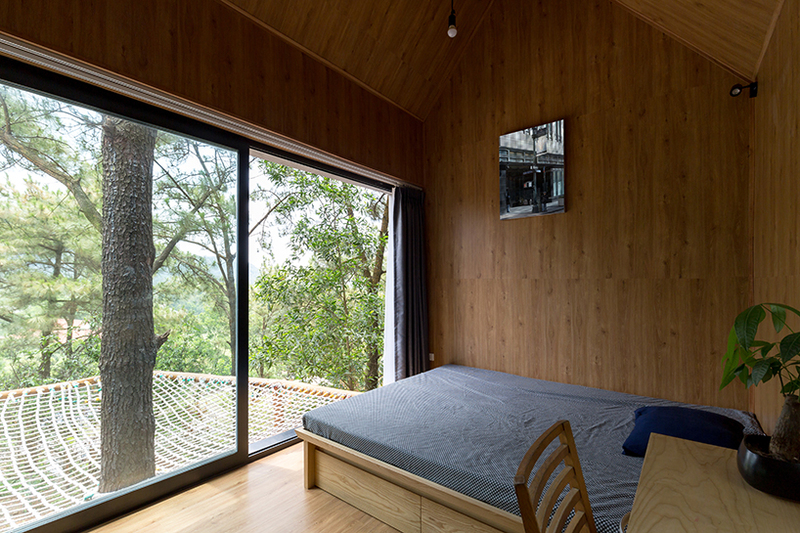 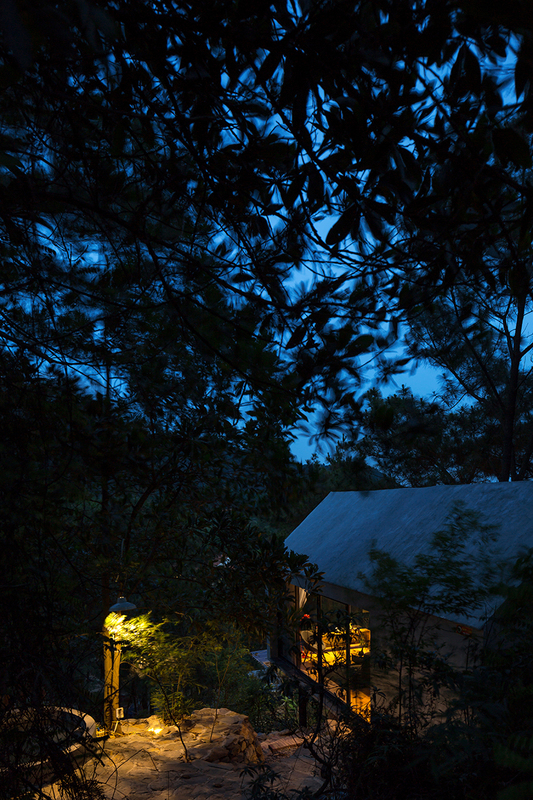 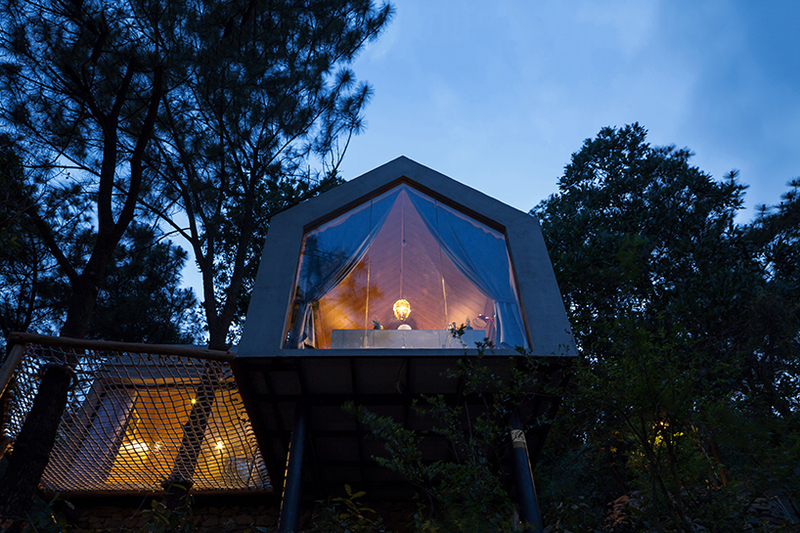 perched in the mountains of northern vietnam is architect chu văn đông second forest house. 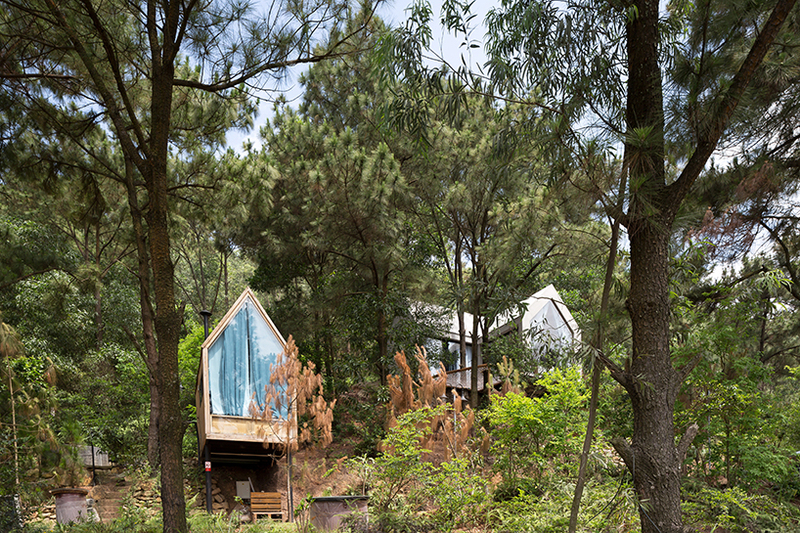 built on a lot around 40 square meters, it is made for 2 to 4 people, thus doubling the capacity of the temporary home area designed to be a overnight dwelling or staging area for when visiting the mountains. 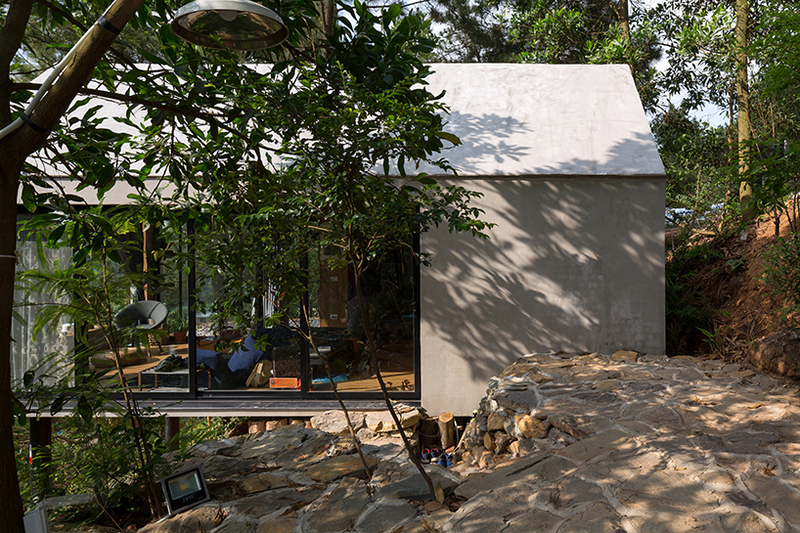 architect chu văn đông used materials such as a steel box, wood, glass, lightweight concrete and clay stone to provide a framework for the home. 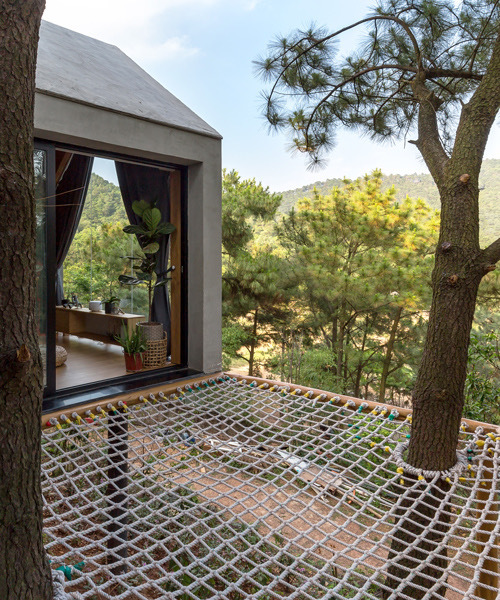 these lightweight materials are incorporated to reduce the potential impact that the structure of the foundation has on the environment. 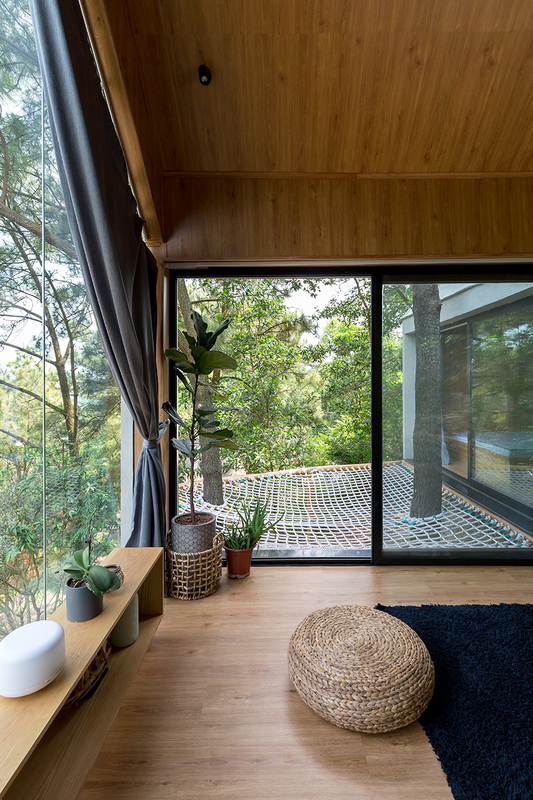 the home offers sweeping views, and also incorporates the existing trees and surrounding terrain with an outdoor playground.